Among the many changes made to BerkshireNet's mail services are the services available to our Web Hosting clients. You can now, among many other things, manage your own email accounts. You can now add additional email addresses, manage your own spam filters, redirect emails and mch more. To access the new domain management properties, go to http://www.yourdomain.com:2082/ - or go to the Login Page. 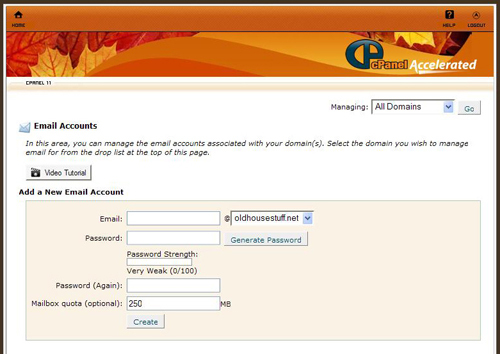 To add new email accounts, select "Email Accounts:. There are many nasty folks out there these days - try to make your password as strong as possible for our own protection. Try to get the password bar in the yellow or green if you can. 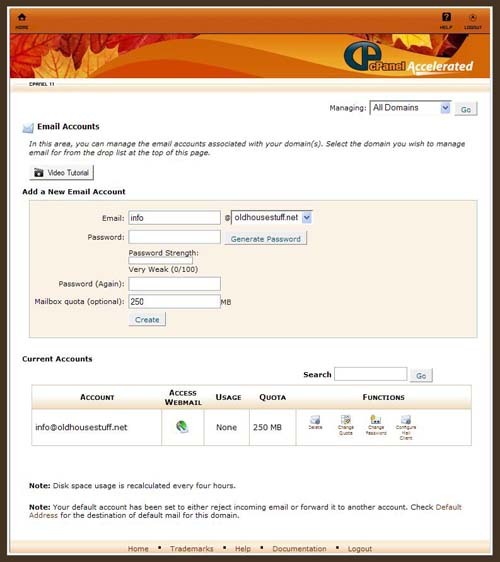 Once the account is created, you will be offered a chance to automatically configure a mail client with the new account. You don't need to do it at this point, as this can be done in the WebMail section of the site. In this screen, you will be able to do one of several things. 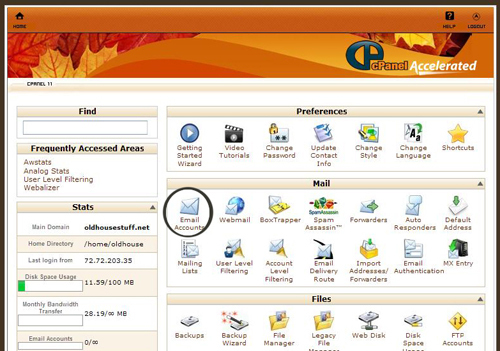 you can check your email using one of three different email programs - Horde, SquirrelMail or RoundCube. Try different things in this new management console. Manage spam, check your access logs, manage your own backup, set up databases - you are almost unlimited in what you can do.